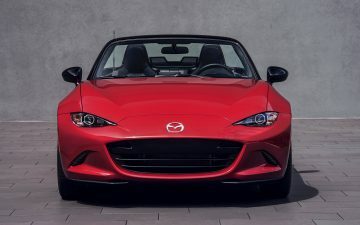 When Mazda announced the pre-sale of the new 2017 MX-5 Miata RF hardtop convertible, Miata enthusiasts all over the United States quickly signed on to the pre-order site to place their orders for the limited launch edition of the vehicle. One of those enthusiasts who put down a deposit, hoping to secure one of the first MX-5 RFs, was David Putter of Orange County, California. David discovered Miatas back in 2011 when he bought a new Special Edition MX-5 Miata in British Racing Green, and he’s never looked back. 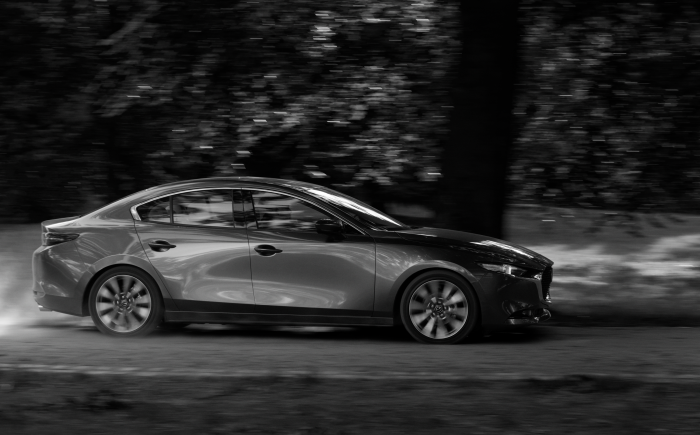 Over the years and through different cars, David has developed a close relationship with his dealer, John Patterson at OC Mazda in Huntington Beach, California. So, it was no surprise when he was invited to reserve one of the limited launch edition RF cars. The shock came when he found out he was going to be the first MX-5 Miata RF owner in the world. Mazda invited David to be a special guest at the Los Angeles Auto Show, and he received his keys on stage from Masahiro Moro, the CEO of Mazda North American Operations, during Mazda’s live press conference. The next day, David went down to Huntington Beach Mazda to pick up his car. David tells us that he drives the car every day, and almost always with the top open. Of course, the next step in this automotive love affair is to share his passion, or at least brag a little bit.